There are moments when our leadership gets murky. The reasons for this are endless: maybe you can’t see a clear path forward. Perhaps your plate is full with other responsibilities. It could be that your heart isn’t in a particular project, you’re conflicted over which priorities should rise to the top, or you’re simply bewildered over what to tackle first. I’ve been there too many times to count. I often get “analysis paralysis” and overthink the leadership decisions that are in front of me. Big decisions, medium-sized decisions, even itty-bitty decisions: they can all all throw me if the conditions are just right. And if you haven’t been there, believe me…you will. Pray. In the middle of overthinking, don’t under-think the importance of crying out to God and asking for his guidance. What we often view as a last resort should be our first privilege. God gives wisdom liberally to those who ask. So ask. Surround yourself with outsiders. Grab a friend or four and get them to look over your shoulder. Ask them to ask probing questions and poke holes in your current theories. Getting their fresh and mostly unbiased perspective can help you get unstuck and move ahead. Don’t rush. Unless the decision is red wire or green wire and there are fifteen seconds on the clock before Gotham gets blown to bits, you’ve got time. Slow it down, seek wisdom, weigh options, and make an informed decision. Don’t dawdle. (Side note: we don’t use dawdle nearly as much as we should in everyday conversation. Change that.) Here’s where I foul up the most: when decisions are foggy, I tend to delay the decision as long as possible. Instead, consider putting a “decide date” on the calendar. And then honor that date. 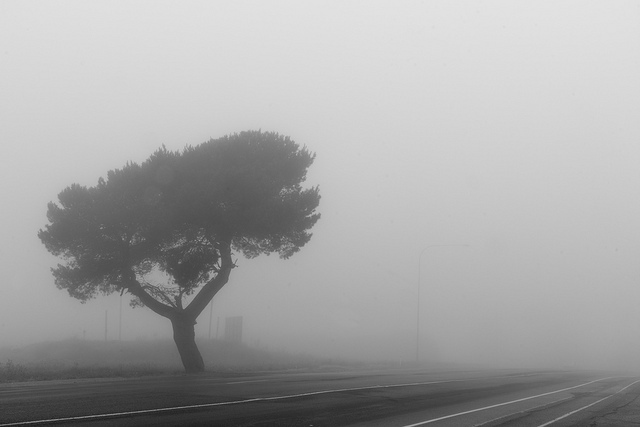 How do you lead when leadership is foggy?